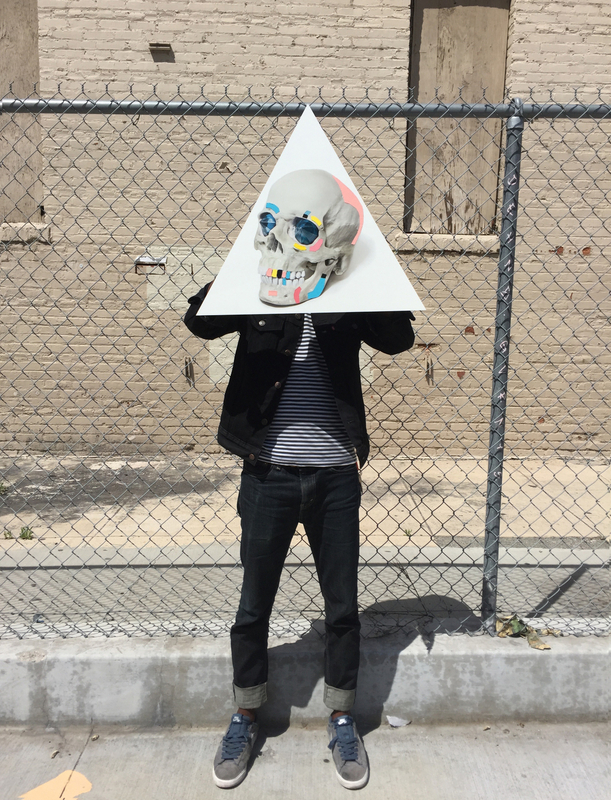 Victor Koroma is an artist that creates mixed media photography works based in Los Angeles. His mission is to change what a photograph is by ignoring to capture a moment as traditional photographs do and instead turn the photograph into a graphic thats only a component in his image making akin to that of advertising or a painting. He believes that though the technology of photography has been evolving the ways in which photographs are used hasn’t. His work attempts to be the answer of what shape photography is going to morph into next by propelling the medium to a point where you question what is even considered a photograph anymore. Mixed media photography. Contemporary pop. It blurs the boundary of what photography is by mixing it with other mediums. Utilizing elements of paintings and illustrations. It exists in the middle and is neither or. Bright shiny attractive surfaces on aluminum and acrylic glass that reflect the whimsical aliveness of pop culture. He was recently chosen and awarded as a first place fine art winner in PDN’s 2017 Objects of Desire contest. Is a 2016 Print Magazine “New Visual Artists” ( 15 under 30 ) award winner. His work aims to find the beauty in everyday recognizable objects. Transforming them beyond their banality into extraordinary objects of desire that encourage you to think of them in new ways. He currently lives and works out of Los Angeles. In his spare time, he writes and produces music with his synthesizer and laptop. He was born in Freetown Sierra Leone but, grew up in Alexandria Virginia.